The traditional method of heating low-rise residential buildings provides for special capital structures of various types. The material for them is the furnace brick characteristics, which provide the necessary resistance to high-temperature influences. It is used to create shells capable of isolating open fire and protecting building structures from destruction. The heat-resistant brick is designed for facing the internal surfaces of household and industrial furnaces, as well as fireplaces, chimney ducts and pipes. 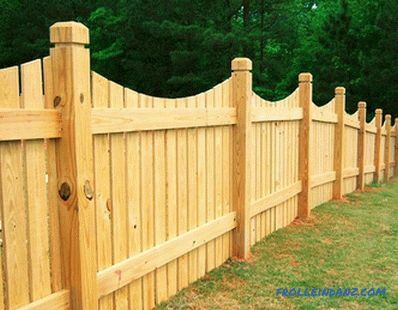 This building material is used for the construction of outdoor stationary barbecue facilities and barbecues. Chamotte, among other things, can be used for lining the combustion chambers of solid fuel water boilers and heating boilers. Heat resistance is not less than 1000 ° C without loss of strength with prolonged exposure. Low thermal conductivity protects the surrounding building structures. Temperature resistance of the product must withstand a significant number of heating and cooling cycles. 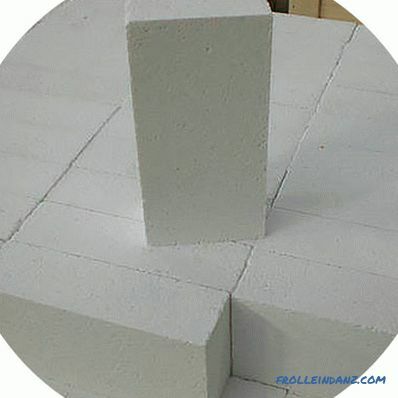 Kiln refractory brick is an excellent accumulator of energy, in other words, it heats up quickly enough and gradually gives off heat to the environment. 1. Preparation of raw materials: grinding and kneading clay, introducing the mixture, mixing to a homogeneous composition. During this process, up to 8-10% of water is added to the composition to achieve the required moisture. 2. The finished mass is loaded into the bunker, from which it enters the metering carriage moving back and forth. 3. 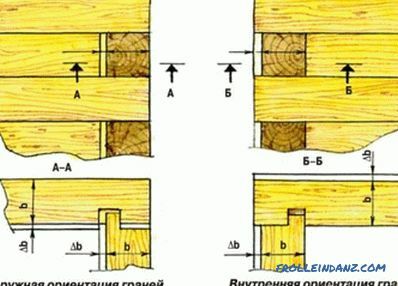 Molded brick is fed to the lower punch of the mold, which is lowered along with the workpiece. 4. The upper part of the press is lowered and exerts enough pressure on the brick to seal it. 5. At the end of the process, the lower punch pushes the block out of the mold onto the platform. At this moment, the carriage begins to move from under the bunker with the next batch of raw material shifts the workpiece onto the conveyor belt. 6. The pressing process is repeated, and the raw brick is sent as the batch is formed for firing in a tunnel type furnace at a temperature of about 1000 ° C.
This technology eliminates the pre-drying operation of the product and shortens its production time. 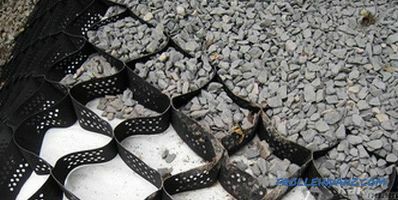 This method of producing fire-resistant bricks is much cheaper than the method of plastic molding, when a continuous beam is made from a prepared mass of humidity 17-30%. A blank with a special machine is cut into separate blocks, which are fed for pre-drying with subsequent roasting. Chamotte SAC; Sha-I; SB-I; ShV-I (II); SHUS. The half-acid PB-I; PB-II; PV- I; PV-II. Chamotte and half-sour lightweight SLA-1,3; CKL-1,3; SL-1,3; SL-1.0; SL-0.9; ШТЛ-0,6; ShL 1-6,4; SL-0.4. 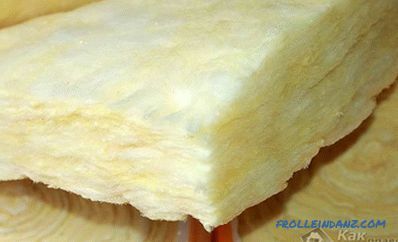 The physico-chemical characteristics of refractory products are largely determined by the composition of the raw materials and the method of production. 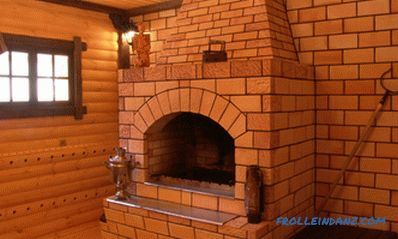 Solid brick is used for the construction of fireplaces, household or industrial stoves and other similar structures. Density is one of the most important parameters of such products, controlled at the manufacturing plants. Verification is carried out in accordance with the methodology established by the requirements of GOST 24468-80. In the process of making measurements, the apparent density and total porosity of the brick are determined. The optimal ratio between these parameters allows you to achieve maximum strength and durability of the product to environmental conditions. Limit values ​​of density for different grades of refractory bricks are defined in GOST 53406-2009. The internal surface of stoves and fireplaces is exposed to high temperatures and an open flame. 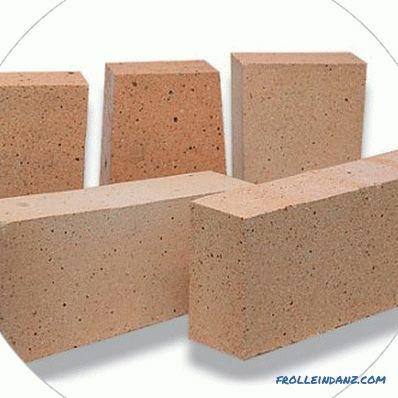 Fire-resistant kiln brick has the ability to effectively resist specified factors. The strength of each of the products depends on its brand, the exact adherence to the formulation and production technology. Quantitative indicators for different types of refractory blocks are shown in the table above. Chamotte brick of the ShAK brand, which is 23 N / mm 2, has the maximum strength. Such products are widely used for laying household and technological stoves at industrial enterprises, as well as working fireplaces in houses. When choosing a particular brand of brick parameter of ultimate strength is crucial. The furnaces of household stoves and fireplaces are in direct contact with an open fire, and the flue ducts and pipes with products heated to high temperatures. The materials used for the construction of these structures must have a high temperature limit. State standards determine its value for various grades of general-purpose refractory blocks. 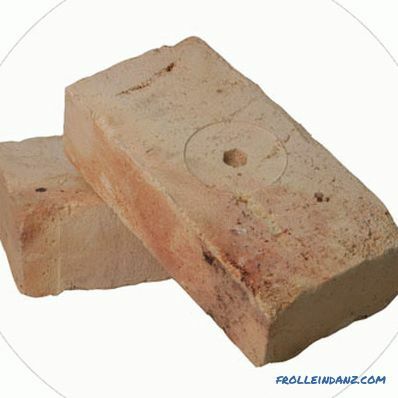 Chamotte bricks of various types have the maximum heat resistance, the temperature limit for them is in a wide range from 1630 ° C to 1730 ° C. Material requirements for other components of stoves or fireplaces are less stringent. So, the material for chimneys must withstand temperatures of about + 700 ° C.
chrome-magnesite - 2.75 - 2 , 85 W / (m * ° С). 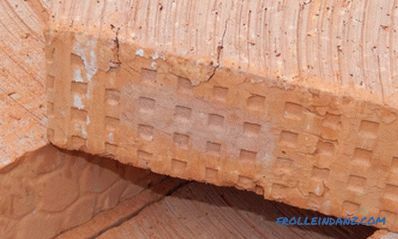 The above list shows that the chamotte brick has the lowest thermal conductivity, which has received the maximum distribution in construction. Such bricks reliably protect the building structure from exposure to high temperatures and are able to accumulate heat. Fire-resistant bricks, whose characteristics are at a sufficiently high level, come into contact with fire and combustion products during operation of furnaces. The effects of acids or alkalis or other aggressive media on products in such structures are practically excluded. Accordingly, there are no special requirements for this indicator. By virtue of its composition, refractory fireclay bricks should not be used in constructions where contact with an acidic environment is possible. This can lead to its premature destruction. 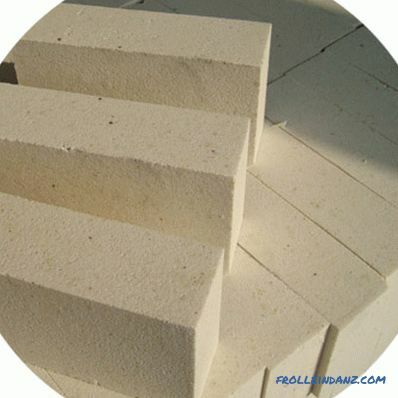 Other types of refractory bricks also have their own characteristics that must be considered when choosing materials for the construction of stoves or fireplaces. 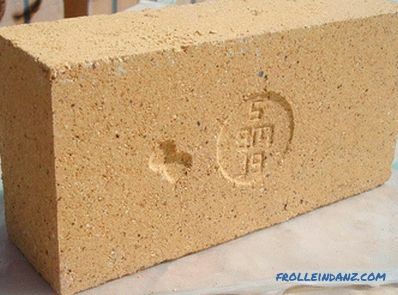 Fire-resistant brick is made of clay and during its firing pores are formed in its structure. The presence of voids in the structure of the product contributes to a significant absorption of moisture from the atmosphere or in direct contact with water. Depending on the type of product, the blocks are able to accumulate from 15 to 30% of the liquid of its total volume. This is a high rate for building material. This property of a fire-resistant brick should be considered in the process of storing and storing bricks. It is not allowed to stay at open sites for a long time, especially in the rain or snow. This can lead to a significant absorption of water and adversely affect its strength and other characteristics. 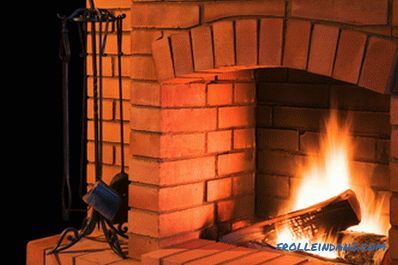 The scope of use of refractory bricks is the construction of stoves and fireplaces in residential and industrial buildings. These products do not differ in increased frost resistance due to their structure and the materials used. According to the current standard, this property of the product is assessed as the ability to withstand a certain number of freezing and thawing cycles in the state of maximum moisture saturation. For chamotte bricks of the ShAK, ShA, ShV and ShB brand, this indicator does not exceed 15 cycles. Refractory bricks should not be used for the construction of basement structures and exterior cladding of buildings and structures. During operation of buildings with stove heating or fireplaces, it is recommended to maintain positive temperatures. Frequent cooling of such structures to extreme temperatures can lead to their destruction. The products of general-purpose refractory products are quite stringent in many respects. In particular, the size and accuracy of the forms are strictly regulated by the current GOST 8691-73, which complies with the international standards of the ISO 5019 series from 84 years. 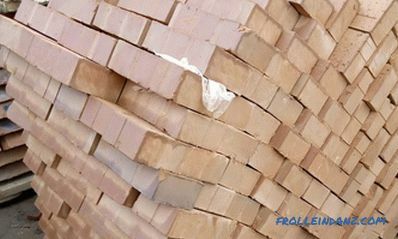 For refractory bricks of different brands 11 sizes are provided, with a certain ratio of length, thickness and height. Control of finished products according to parameters such as manufacturing accuracy and conformity of the form is carried out by special technical departments of the enterprise. Product checks are made selectively for batches of a certain amount of bricks by random sampling. Named enterprises produce fire-resistant bricks in a wide range and of good quality.Products of these plants are in demand among builders and the population of those regions where they are located, and in neighboring areas. 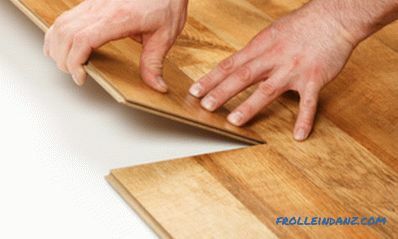 Competition between manufacturers of building materials has a positive effect on quality and range.